Broad-Wing Swan Flower is a highly fascinating ginger plant. 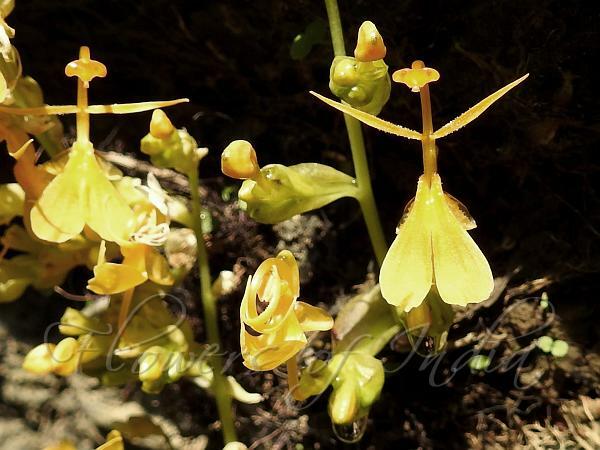 The shape and posture of the flowers of Mantisia with the spread out arm-like staminodes and the wings-like yellow colored flared lip has earned these plants the popular name of swan flower. The rarity of this plant has reached a critical level with only 60-70 plants and therefore been included in the national priority list for its recovery by Department of Biotechnology, New Delhi, India (Ganeshaiah, 2005). In an effort to save the species from extinction. 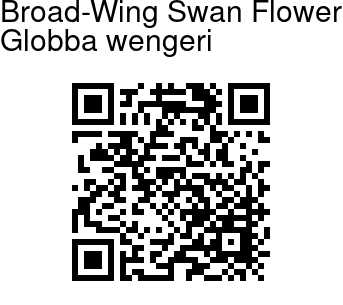 Broad-Wing Swan Flower is found in NE India and Myanmar. Medicinal uses: The rhizome of this plant has been used as a remedy for bone fracture and gastro-intestinal ailments in the past by local people. Identification credit: M. Sabu Photographed in Lunglei, Mizoram.